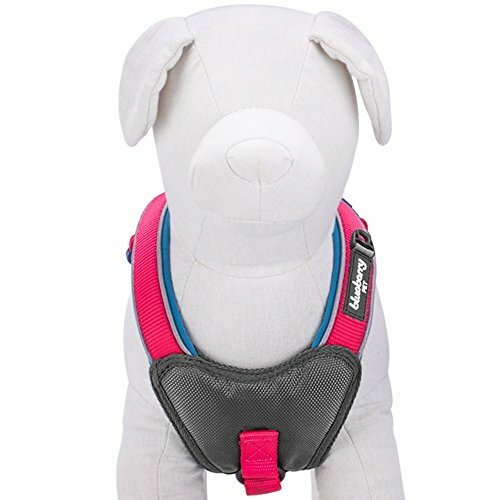 Arm your dogs with our first new design of the reflective neoprene dog harness in FLUORESCENT colors! This is the editor's pick for the breezy Spring & Summer time, which represents Blueberry Pet's new take on the Reflective Neoprene dog harnesses. Already tired of those dull dark shades of neoprene dog harnesses? This spring is the time for you to update your pooches' wardrobe. The neoprene material exhibits good stability and maintains extra comfort. 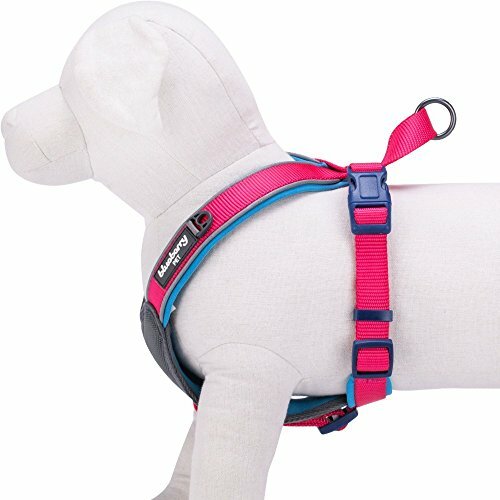 Embedded with 3M reflective materials on part of the webbing, this harness ensures that your pooches are seen even during night time. This new design is available in 4 fluorescent colors, pink, orange, yellow and green. 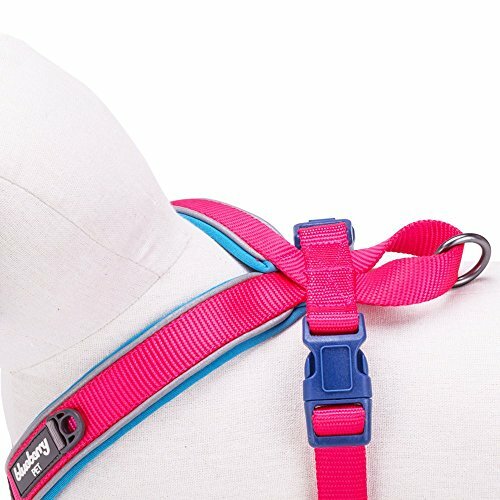 Size: Neck 16.5", Chest 15.5-17.5", Chest Strap 7.5-9"; The dark turquoise neoprene layer is added to match the fluorescent pink webbing.To keep the style and high quality, our designer delicately embedded part of the neoprene harness with 3M reflective materials. The loop tied to the logo is specifically designed for the purpose of attaching dog charms, tags, pendants or accessories. Please do not attach any dog leash with this loop. 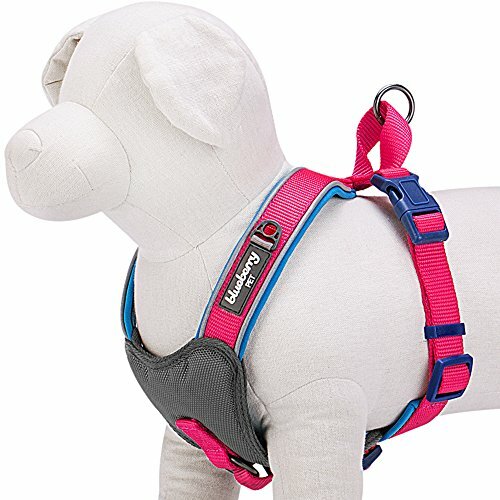 This harness is a single product. However, it comes with matching collar to complete the look. Collar sold separately. 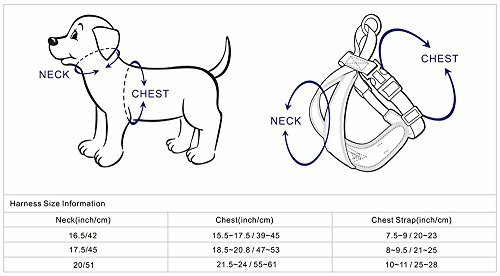 Please measure your pets carefully to make a safe and fit purchase. Always look at the size chart for the recommended weight range to confirm the size. Picture was taken from a size Medium.Machine-washable, in cold water on the gentle cycle.